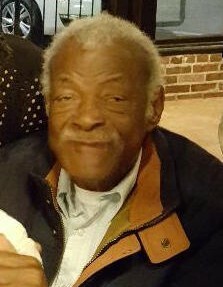 Mr. John M. Moore, 83, of 376 Norrington Road, Lillington, passed away January 30, 2019. Family will receive friends at the home of his sister, Ms. Alfreda M. Matthews, 990 Clark Road, Lillington. Survivors: sister - Alfreda M. Matthews of Lillington; 3 nieces he raised like his daughters - Patty Massey (Marcus), Theresa Slade (Kelvin), and Debra Smith (Richard); extended family - Diane McDougald. Viewing: Tuesday, February 5, 2019 at the Dafford Funeral Home Chapel, Angier from 1:00 pm - 6:00 pm. Funeral Service: Wednesday, February 6, 2019 at the Dafford Funeral Home Chapel, Angier at 1:00 pm. Burial: Norrington A.M.E. Zion Church Cemetery, Lillington.